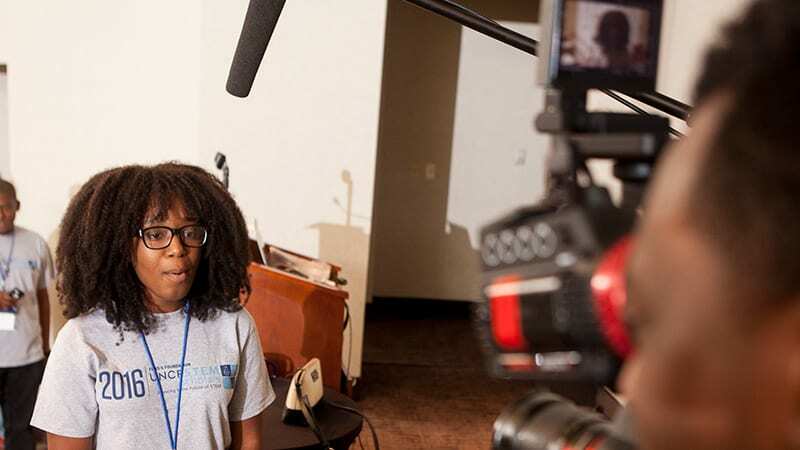 What does it mean to be a UNCF STEM Scholar? Sara Howell, currently a Princeton University student—class of 2020—plans to major in the sciences within the school's pre-medical studies track. Sara graduated from C.D. 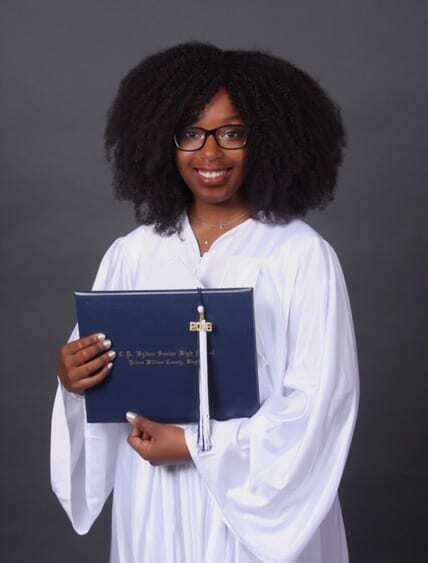 Hylton High School in Woodbridge, VA, in the top three students in her class. UNCF: Sara, can you share your background with us? Sara Howell: I was born in Brooklyn, NY, the second child to first-generation American parents. My dad is from Barbados, and my mom is from Guyana. We stayed in New York for about three years before we moved to Maryland, courtesy of my Mom’s new military assignment. Growing up, my family constantly moved from house to house due to the military. After a while, my mom began deploying on her own and leaving her husband and three kids behind. My dad was a computer technician and has worked as a high school teacher for many years. So while my mom was gone, my siblings and I naturally imprinted on my dad. We followed him to school sometimes, shadowed him in his classes and even helped him grade papers. It was this that first ignited my love of learning. At this time I was in elementary school, but I wanted to be able to solve the “big kid problems” and pushed myself to learn foreign concepts and expand my reading abilities. My hard work began to pay off as my own schoolwork became fairly easy and I finished homework quickly. This gave me more time to pursue my own passions, and I found I loved people and science. Moving around during my childhood helped me to become versatile, and I learned about the complexity of people. I became very outgoing and personable. As for science, it just made sense to me. I thought the interconnectedness of the world and everyone living in it was fascinating. After my mom’s return, my parents divorced, and my mom moved my siblings and me to Virginia. I’ve been living here ever since, and have continued to take my education very seriously. After some initial hesitation, I became sure of the fact that I wanted a profession in the medical field when my mom took me to Louisiana with her for a business trip; she is a registered nurse in the Army. In Fort Polk, LA, my mom was able to put me in contact with the nurse anesthetist because I was and still am very much interested in anesthesiology. The nurse anesthetist was impressed by my willingness to discover all I could about his field, and invited me to participate in an actual Caesarean section the next day as the surgical assistant. So at the age of 14, I participated in my very first surgery. It was exhilarating. Since then, I have continued to immerse myself in all things pre-med using the skills of curiosity, inquisition and conviviality; skills which I’ve adopted from my childhood. UNCF: You found a passion for the sciences at 14. Were there situations or roadblocks you had to confront? How did you work around them? SH: I’ve learned that the most powerful tool in life is the power of access. It’s not enough for an opportunity to exist, but existence along with the gift of being accessible creates magic. In most cases, the opportunity won’t present itself with bells and whistles, and it is up to the individual to actively seek it out. So, as I pursued a stellar education in the sciences, my biggest challenge was to actually find engaging and feasible opportunities that allowed me to accelerate and deepen my interest in the science/medical field. Such opportunities don’t often fall into one’s lap, and so I worked hard during high school to participate in programs that allowed me to hone in on my newfound fascination of science. In this circumstance, my outgoing personality and love for people became my greatest asset. Through networking and maintaining relationships, I gained access to many “hidden” resources in the STEM field like medical conferences, summer programs and Governor’s School. You see, mastering the skill of access isn’t that hard when you have a team of people willing to help you. UNCF: What challenges do you anticipate in your first year of college? How do you plan to address them? SH: I think my biggest challenge will be transitioning from a "high school mentality" into a more mature, capable version of myself ready to take on society. That includes all aspects, like figuring out how to study more effectively, learning to incorporate myself effortlessly into professional America, maintaining a balance of interests in my life, etc. I plan to achieve this by engaging myself in many productive activities, seeking new experiences and removing all limiting mental restrictions so that I can grow intellectually as much as possible. In every city and town across America, bright, talented and motivated African American students are hungry for opportunity and seeking better futures through pursuing a degree in science, technology, engineering or math—the STEM disciplines. To address the national challenge and to support a more robust STEM pipeline of African American scholars, innovators and tech entrepreneurs, the Fund II Foundation and UNCF have established the Fund II Foundation UNCF STEM Scholars Program, a 10-year initiative designed to identify and provide scholarship and academic support for 500 talented African American high school students who aspire to earn STEM degrees and to pursue careers in STEM fields.